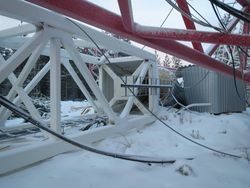 The world’s largest amateur antenna, the 3-element 160 meter Yagi at OH8X, has collapsed in a recent storm. The Radio Arcala team is preparing a report that will be available in a few days. Source: Facebook the Radio Arcala – Arcala Xtremes group. While driving to the Arctic region north of the city of Oulu at 65degrees North, you will now find the wintry landscape more naked than before. Something is missing from the landscape, a reflection of the challenges facing the stormy and icy North. Sorrow has descended on the population of the village of Arkala. It was the recent storm Oskari creating gusts of up to 68 knots (78MPH) that not only knocked down the massive 330ft (100m) 40+ ton 160/80M array but also left 200.000 homes in Finland without electricity. The mammoth structure collapsed peacefully, not hitting any of the other six towers, not hurting people or damaging buildings. As professional engineering efforts had up to now ensured the survival of this 5-year old structure, inspectors are busy trying to evaluate the cause of the failure. It is suspected that automation designed to enable the array to find its most comfortable position in high winds somehow locked up and caused the structure to corkscrew. Consequently the giant crumbled down on its on base just like the WTC building in those other sad years. 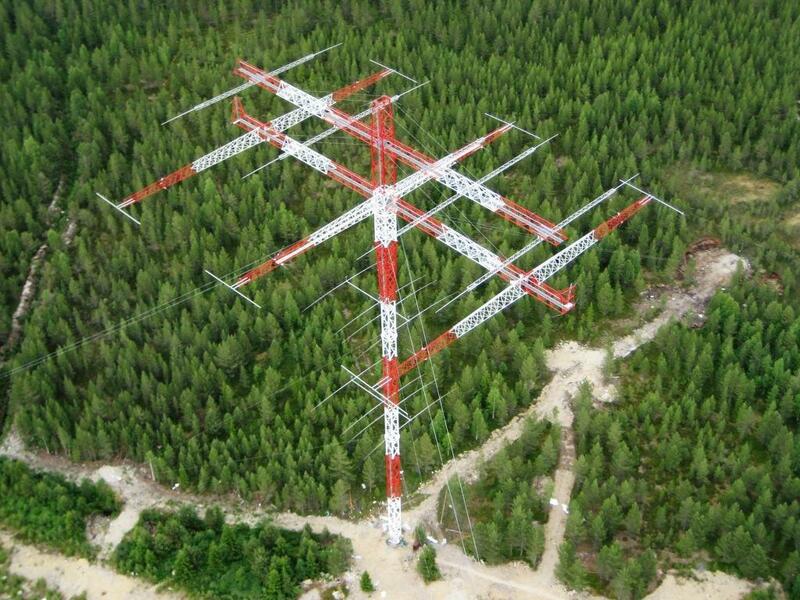 If there is more news about this antenna disaster, I will mention it here on the website. Source photo: DXWorld.net – OH8X tower collapse. Dit bericht is geplaatst in 2013. Bookmark de permalink.